After you prepare a meal, you may have cooked ground beef left over. 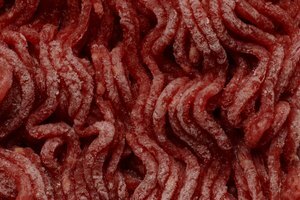 If the ground beef was previously frozen and you plan to use it again, you may refreeze the cooked meat. Refreezing the ground beef proves to be economical because you can reuse it to create another dish instead of throwing it away. Before you can use the cooked ground beef, it needs handled properly before and afterward to ensure that it remains safe to consume. Before you use the cooked ground beef, ensure that it is safe and desirable to consume. 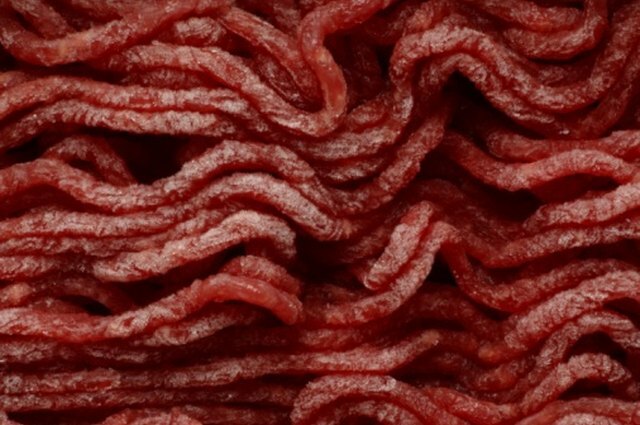 Ground beef that was frozen partially cooked can contain harmful bacteria. 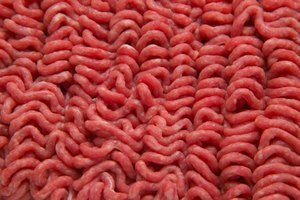 Ground beef stored for longer than three to four months in the freezer may suffer from a loss in quality. Freezer burn may also form on the ground beef if it was not stored properly. Freezer burn causes leather-like dark discolorations to form on the beef and it affects the flavor and texture of the meat. If the meat appears questionable, discard it. Ground beef needs to be thawed properly in the refrigerator if you plan to refreeze the cooked beef. Freezing ground beef defrosted in the microwave or in cold water can allow bacteria to form in the meat. When you plan to freeze leftover ground meat again, place it in the refrigerator overnight. 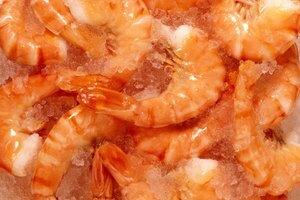 If any juices leak from the container or freezer bag, they can contaminate other foods in your refrigerator. Place the ground beef in a container and thaw it away from fruits and vegetables. Once the ground beef thaws, remove the portion that you need. Freeze the ground beef in the same container or transfer it to a new freezer-safe container. Freeze the leftover ground beef within one to two days to help prevent a loss in quality. Write the date that you placed the meat back into the freezer so that you know it was previously defrosted. Repeatedly defrosting and freezing cooked ground beef can cause a serious loss in quality, which will affect how the beef tastes. Never let cooked ground beef sit out at room temperature for longer than two hours because harmful bacteria may form. Always cook ground beef to a safe internal temperature of 160 to 165 degrees Fahrenheit. Discard the ground beef if it has an odd color, strange odor or mold growing on the surface. 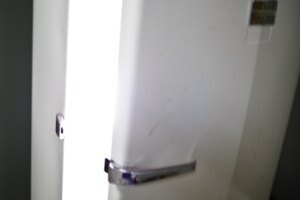 Always wash your hands with an antibacterial soap and hot water before handling the ground beef to prevent contaminating it.